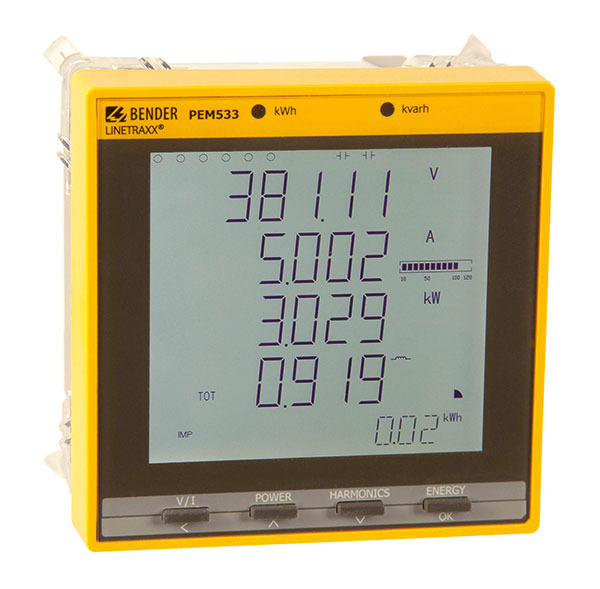 The universal measuring device PEM533 is used to record and indicate electrical quantities of a public electricity network. The scope of measurements ranges from currents and voltages through energy consumption and performance to total harmonic distortion and voltage quality assessment. 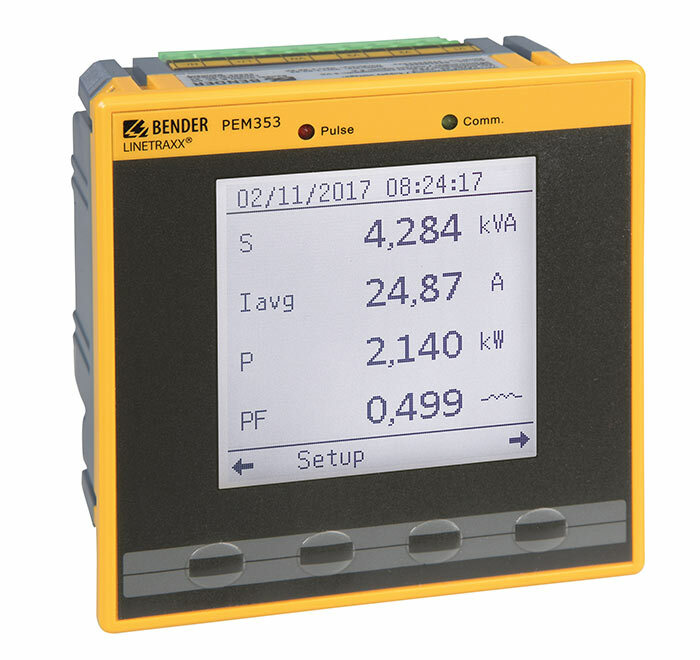 The active energy measurements are in compliance with the DIN EN 62053-22 class 0.5 S accuracy standard.The current inputs are connected via external …/1 A or …/5 A measuring current transformers.